In our previous article, we made a general overview of the fashion and trends of men’s Autumn_winter 2016/2017 in the field of clothes and accessories. We sought to understand together with you how a man will dress during the next cold season, which styles will characterize him most, such as colors most in vogue and which Must accessories will accompany his look. We enter now into the heart of the shows and we are going to see in more detail some of the proposals presented by the most noted designers of global fashion at the recent European fashion shows Men’s autumn-winter 2016/2017. The man dressed by Valentino wears large calf length coats or large jackets, solid in color or enriched with decorations of white geometric designs on black. Highly glamorous are the colored red checkered coats or the overcoat in polished burgundy patent leather. The pants have a soft line and are ankle length, well highlighting the shoe, another glamour accessory of these collections which, as proposed by designers of the fashion house Valentino, must be elegant and special. Welcome therefore are lace-ups and loafers in crocodile or leather shoes with a decorated sole of small metal bolts. The younger opt instead for a clothing line more fresh and casual, characterized by multicolor pullovers enriched with geometric designs and jackets lined with fur. The Valentino collection Men’s Fall-Winter 2016-2017 is rich with accessories, particularly handbags, a distinctive element for the man of style, in step with fashion and the trends. The tote bag, in black calfskin embellished with tone-on-tone beads or decorated with small studs (the same ones that are also on the shoes) can be held in hand, thanks to the two short handles, or worn across the chest, by way of the long shoulder strap. 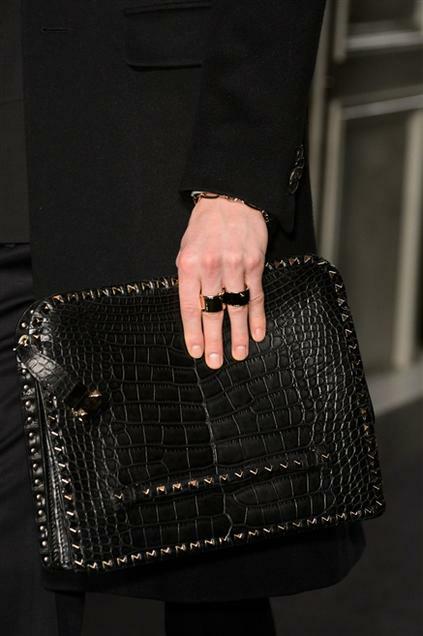 For a look more sophisticated and chic, come favored more prestigious leathers, such as crocodile or alligator, utilized not only for the bags of large dimensions, but also for refined briefcases, purses and clutches. 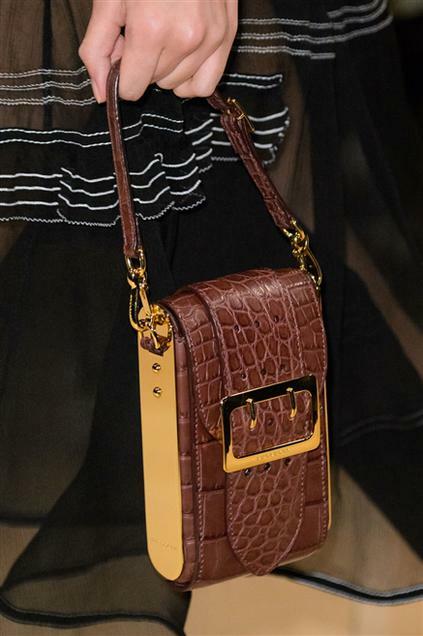 Among the many models of handbags proposed in this collection from the designers of Valentino, is dusted off also the backpack, especially for the young, to wear comfortably on the back, realized in leather and, at times, embellished with decorations. Among the most recurring colors of the collection Men’s Fall-Winter 2016/2017 by Valentino, are moss green, brown, black, beige, gray and burgundy, both for clothes and for accessories. Also Giorgio Armani, like Valentino, sees the man of next cold season in 2017 dressed in comfortable clothes, composed of knee length double breasted coats and pants rather large and ankle length, all offered in classic winter shades of black, blue, gray and brown. Very chic are the men’s furs or long coats with collars or inlays of fur. Who finds the fur coat too whimsical for a man, can certainly opt for the warm jacket in sheepskin leather. 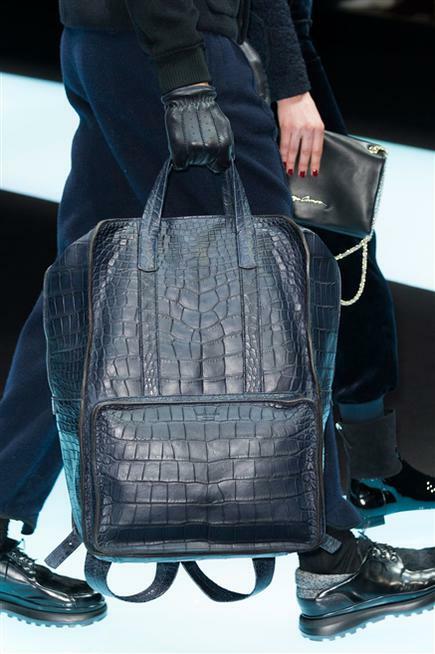 The bag is also here a predominant element of the collection autumn-winter 2016/2017, best if made of genuine alligator, for a more decisive and determined look. Evening and formal dress, however, is decidedly more elegant, with long pants, vest (worn also without a shirt), jacket and hat, all in blue/grey color. Versace proposes for next winter 2017 a masculine look characterized by a large double breasted coat over tight pants or elegant suits styled with faithful riveting and cropped. Among the shades most recurring, in addition to silver laminate applied on leather, is pure white, to which, often, are combined pastel accessories, such as large handbags and pink or light blue belts or wool hats, always pink. Even the padded jackets, despite the winter season, will have purely spring colors, such as pink and sky blue, purple, lilac, yellow and brown and will be embellished, in some cases, by fur lapels. The bags, extremely large, will be matched to the tone of the clothing, and realized in fabric or in leather. The evening suit instead is pinstriped or total black, with a leather bag held rigidly in hand. From Burberry arrives the idea of the sweatshirt zipped to the chin, matched with joggers to wear on the bottom and a two button jacket that projects a more casual look composed of heavy knits. Man bags proposed by Burberry have a basic line and are carried in hand or on the shoulder, given the practical shoulder strap . Coats alternate with the duffle, to the Parka, to the bomber and furs. Roberto Cavalli instead sees the man of next Autumn-Winter 2016/2017 as a lover of elegance and sophisticated style. His two piece suits have a slim silhouette and the shirt is replaced by knitted turtlenecks. The jackets are embroidered with patterns inspired by baroque art or with references to python, all in classic tones of black, white, brown, gray, camel and powder blue. Designers Dolce & Gabbana remain in line with what is the general trend of next winter with regard to look, dressing the man with oversized coats and fur jackets paired with soft ankle length pants, at times, also finished in fur. 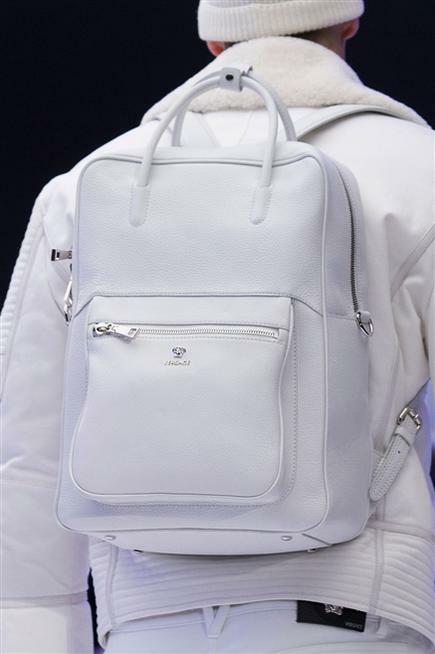 Large bags and backpacks are the Must accessories of the next cold season, hand held or carried on the shoulder. In the Gucci house, men’s double breasted coats alternate to fur garment covers and oriental inspired jackets. Pants are wide and cuffed at the ankle and hats are made in jersey knit. Among the predominant colors of the collection stand out shades of black, burgundy, wine red, peach pink, white, dark green, blue, red lacquer, light blue, fuchsia, beige, gray and brown. Inevitable is the handbag as a distinctive accessory of the collection, ample in size, to hold in hand or the carry on the shoulder. 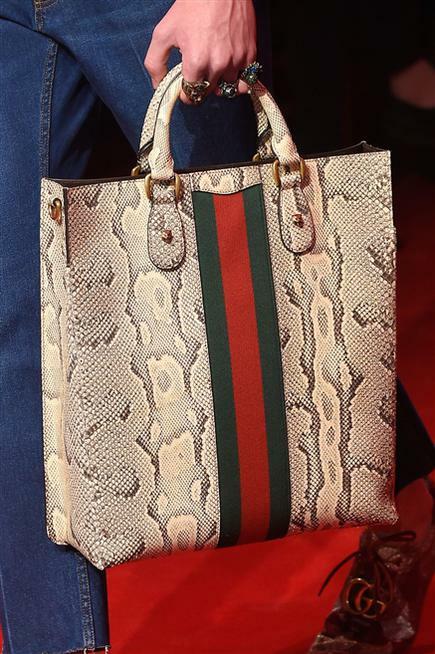 Recurrent is the reference to python both on clothing as well as bags. These are just some of the many collections for men’s Autumn-Winter 2016/2017 presented at the recent European Fashion Weeks, but, in our opinion, already it is possible to define in detail the new image that will be the man of next winter 2017: a figure extremely sophisticated, glamour-chic and attentive to details, a man who does not want to do without anything but who enters the game, emerging a winner. But it’s already time to fly to Paris to discover the new women’s fashion trends for Haute Couture Spring-Summer 2016. Do not miss our next article….